Cupcakes 'n Daisies: A Few New Things . . . . . I don't get out and around much, and haven't been sewing all that long, so when I do get out, I'm amazed at the things I learn and see. Here are a few things that were new to me while on my trip to Chicago. Oh, I'd heard of these machines, even seen a few online, but I actually saw them, in the flesh, for the first time, in my Carrie classes. Two black ones and a white one! I have to say, I found them amazing. They are the cutest little machines and make the most pleasing sound as they sew. I was intrigued, intrigued enough to search Ebay for one when I got home. And I found just the perfect one for me (click here). So what do you think? I think my wallet is intrigued to know how I would pay for it! I tend to have dry hands, particularly in the winter. I picked up this lotion bar somewhere along the way. I don't tend to put on lotion right before I head into my sewing room, but I put this bar by my sewing machine and have been using it. It smells great and feels great. 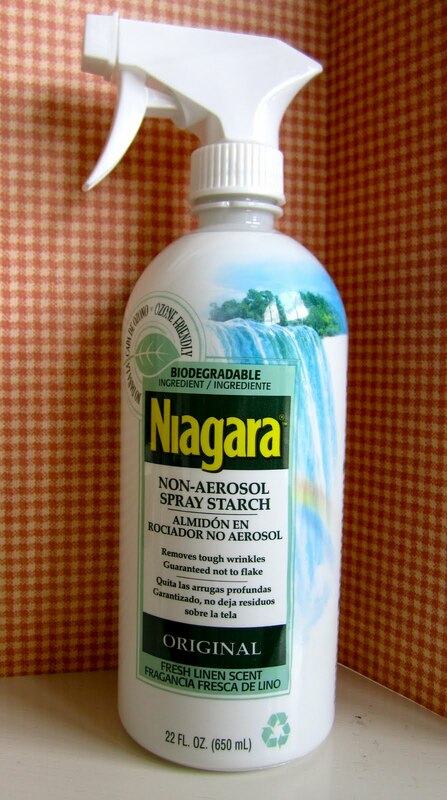 Niagara Non-Arosol Spray Starch! Carrie brought these bottles to class for us to try, it was new to me and I really like it. Up to this point I had been using Mary Ellen's Best Press, I bought it by the gallon. But when I used Mary Ellen's, it kind of gave my throat a tickle. 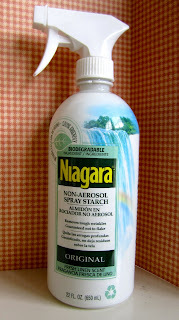 The Niagara is tickle free, and this 22 oz bottle runs $1.98 and is available at Walmart and Target! Someone in class recommended these Bohin seam rippers, so Lisa and I were on the hunt for them. They are good rippers, but my old rippers may be a little dull from use, so maybe it's not a fair comparison, but I think the Clover Seam Ripper, with the fat white handle, feels better in my hand than these. The Bohins are a handy size, nice for traveling, and you don't have that whole "where's the tip protector" issue since they fold up. If you read my blog very often, you know I struggle with my fabric choices, it takes me forever to warm up to a family of fabrics. In Chicago I ran across some fabric that I feel was designed for me! It was instant love!! The baroque influence throughout the world inspired these beautifully crafted designs, each an homage to classic artistry and timeless style. Large scale prints, backgrounds, tonals and small scale patterns combine in colors inspired by the cities of Europe, from the creamy marble of Florence to the garnet reds of Madrid and garden greens of Strasbourg." I have to agree with the timeless style comment, I'm not well versed in fashion, let alone European tastes and trends, but I do know this, this fabric is going to make some amazing quilts, that will match my house and taste perfectly, and stand the test of time! Sold to the woman who NEVER buys fabric without anguishing and second guessing the colors, cost, and use, for days, weeks, sometimes months! This was one easy purchase. 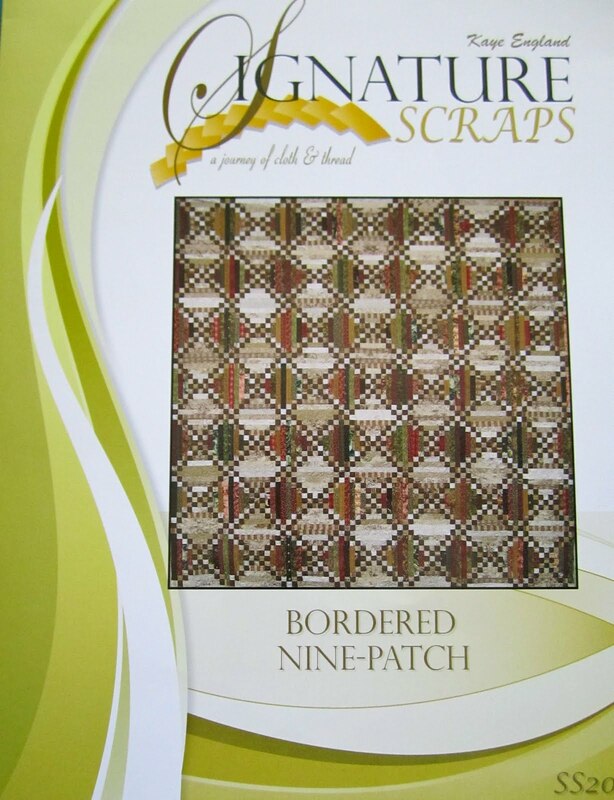 Click here to see a few pictures of some quilts made using this fabric. Monique is also the designer of the Open Gate patterns, you can check out the latest goings on in her world here. Her website is called Bundles and Bolts. One thing that's not hard for me to spend money on is patterns. I would have to say patterns are my weakness. I remember growing up, my Mom just loved to read cookbooks. I found it strange, because she had no intention of making 99% of the recipes in those books, she found reading them interesting and entertaining. I get it now, because that's the way I feel about quilt patterns. I know I'll never make all the ones I buy, but just reading them is so entertaining. Every designer has their own style and presentation, some designers get right to it, others get there eventually. I prefer the ones that give me a little history about the pattern, or how they came up with the name or pattern. I like color, the more color the happier I am. This is Stone Soup by Life's A Stitch Quilt Shoppe . . I just love it when a quilt shop designs their own patterns. They are usually something new and different. I bought a few of their patterns, they had a great selection. 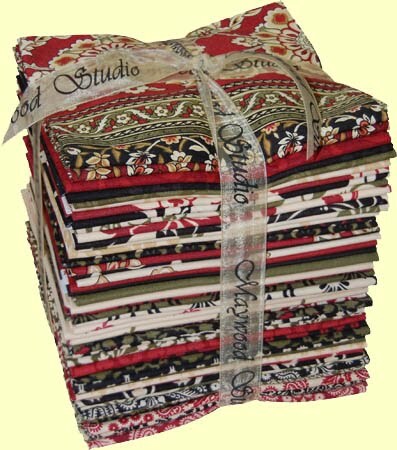 Nicole did a wonderful post on this quilt shop, if you've not read it, click here. 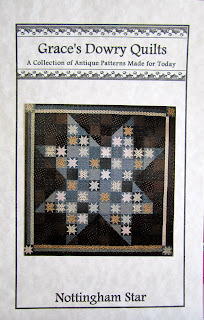 Beth at The Quilt Merchant has some amazing patterns inspired by antique quilts, they are called Grace's Dowry Quilts, I think she's designed over 20 of them. Lisa posted a great picture of the completed quilt made from this pattern. They are going every which way, I've not had the time to read how you go about making those geese fly like that, maybe I'll read up on it tonight, my nightstand reading. This Deb Tucker is new to me, but she was just nominated as the Teacher of the Year by Professional Quilter. So I guess I'm late to her party. Are you familiar with Kaye England? 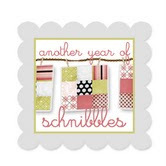 She's new to me too, but from the looks of her website, she's been designing pattern for ages! I was drawn to this quilt and the format of this pattern. Lots of color, it's more of a pamphlet than the normal pages folded behind a picture format, and there's hardly any text. It's more like a picture pattern, you know, like a picture book? Very different, but I like it. I also picked up several Miss Rosie's Quilt Co patterns; Short Line, Two Step, Brown Eyed Girl, Three Barns, and a couple of Schnibbles. I couldn't help myself, they were everywhere! Ashcombe's done, I'm hoping to get some good pictures of it and on my blog soon! I love my little Featherweight. It's the perfect size for toting to retreats and classes, and it's easy to set up to sew on the dining room table. In regards to the featherweight. The painted ones are really neat, but know that the paint job is not original by any means. Singer never made polka dot machines. :) I have been lusting for a featherweight too, and have even considered getting one that was painted pink!! Here is a great site to see more painted ones, and sometimes he has non-painted ones too. Much much cheaper than the one you found on ebay! Also be sure to check yard sales, flea markets, etc.... many people are getting rid of grandma's machine and have no idea what they have! Thelma I love my little featherweight, and you can find one at a much better price then ebay ;-D And thanks for the encouragement about patterns! I love to buy new patterns, but many of them are never made up. I really like your analogy about the cookbooks. That polka dot Featherweight is so cool! It is ridiculously expensive though. I stopped by a shop in my area recently and a woman was sewing with a candy apple red one. There is this whole "etiquette" thing about never painting them unless they are impossibly scratched up, did you know? I still would love to have a souped up one like the one you found with the dots. I've been drooling over the Featherweights myself. Love them. I know exactly what you mean about buying patterns, and I can also relate to your mom about cookbooks....I buy and read both...even if I don't intend to make that particular pattern or recipe....they are great inspiration! Loved hearing all about your trip and seeing more pictures of you. Have a great Thursday! That polka-dot Featherweight is sweet but a bit out of my price range. LOL I absolutely LOVE my Featherweight. Sometimes I put it on my kitchen table and sew like crazy. It makes the sweetest sound. I buy patterns for the same reason, Thelma. I like read them and am often intrigued by the different techniques used to achieve the same result. Hi Thelma! Thanks for the blogging about my fabric! I'm glad that you like it and can't wait to see what you make with it. 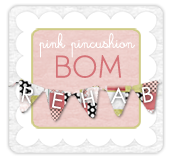 I'm enjoying the blogging world and meeting such wonderful people, especially you! I love Maywood fabrics. They always feel so silky, and are beautiful. Oh the polk dot one is adorable! I bought a Featherweight last fall ... mine is black with a just few pin scratches. I bought it to use and I don't worry about it. I have seen the red and pink ones but I wouldn't want to use it! Love all your finds. I love patterns and cookbooks too! The polka dot Featherweight is pretty cool... the price tag? Not so much. If you really do covet a Featherweight, they're not hard to come by on eBay, Craig's List and at shops on the Internet. Most are going to be the old-fashioned black finish, but those can be re-painted and refurbished for anywhere between $300.00 and $800.00, depending on what you want done. Over the years, I've seen them redone in red, magenta, hot pink, aqua, bright yellow, kelly green and hunter green. I don't think I would be able to pick a favorite. I agree with Nicole's comment too. There are those who think it is a crime of epic proportions to repaint a Featherweight, even a badly damaged one. To others, it's their machine and they can do what they want. Don't you just know those ladies who had Featherweights in the 1940s and 1950s would have loved to have red and pink Featherweights! I know the featherweights get great press but I've been hearing wonderful things about a little 12 pound machine by Babylock that does most everything and is called Grace. People are loving them. Your new fabric reminds me a lot of Sophia by Windham- pretty red, black and cream colors. I'll be interested in all your new sewing projects. Deb Tucker has made a series of patterns to go with her ruler the Wing Clipper - which I have. The Atlantic Flyway is one that uses this ruler p I haven't seen it but it's gorgeous as is the other patterns. I hope there is a featherweight in your future! They are the most reliable, sweetest little machines. The polka dot one is just toooooo cute!!!!! I have a black one and a white one. I wouldn't trade them for the world. I'm glad your trip was so much fun!! What a great post! Thanks for sharing about what makes you tick girlie! It's always great to hear about new things that people find in Quilt Land. Thelma, I'm amazed to hear you say you haven't been sewing that long - and yet you have made almost 50 gorgeous quilts! Clearly it isn't the quantity of time that matters! I saw that Nottingham Star pattern on Nicole's blog and rushed right to their website and bought the pattern - I love it! That machine has your name written all over it!!! LOL I'll bet your wallet is thinking about you and praying for a miracle. I already found that spray starch and incorporated it into my life... so-long Ellen! A quiltie girl needs to buy frugally these days... so they can purchase wonderful groups of fabric like the little bundle you brought home! Love it- those colors always make a statement in a quilt design. I actually have that ripper too... one of many, since I use them a lot!hehe. Thanks for all the fun sharing! Nicki is a great one to get you to shop lavishly. I loved hearing about your trip from her. Sounds like you had a fabulous time! Love my Featherweight! You sure found some wonderful patterns...I do the same thing, buy patterns and just love to read them. Your trip sounds just incredible! Loving that line of fabric. I'll have to search for that. 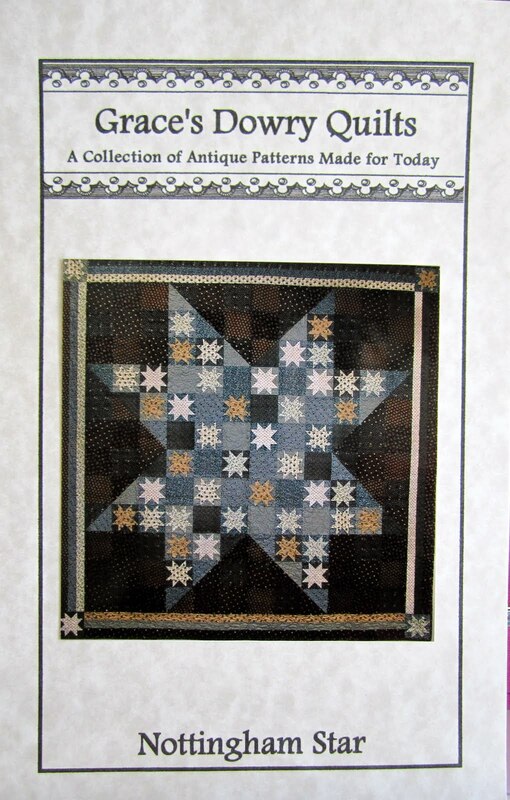 I saw the brown/blue star quilt on Sister's choice and fell in love. I am going to have to get that pattern. Did you all 3 buy that kit? Can't wait to see how yours turns out!